Travel across New England backed by the unrelenting power of a 2018 Toyota Tacoma. This new Toyota truck possesses ample power and durability to go along with an array of interior comforts that will help you relax after a long day’s work. Plus, you’ll be able to keep yourself and your passengers protected the moment you head off to your next destination, as the new Tacoma comes equipped with the latest in advanced safety features. Learn about your Toyota financing options and test-drive a new 2018 Toyota Tacoma at our Toyota dealership in North Kingstown, RI, today! 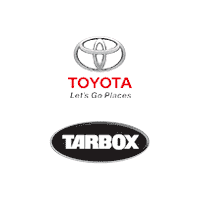 Swing by Tarbox Toyota today to test-drive a new 2018 Toyota Tacoma. Our Toyota sales and finance experts will answer all of your questions!